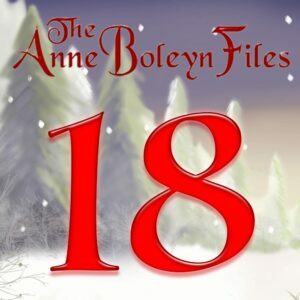 Thank you so much to historical novelist Judith Arnopp for today’s Anne Boleyn Files Advent Calendar treat. Judith has just released her 11th book – Sisters of Arden! Wow! Congratulations, Judith! Her novel The Winchester Goose is one of my favourite Tudor reads. We’re lucky to have so many wonderful contributions to our Advent calendar this year, and I do hope you’re enjoying them. To enjoy Judith’s Tudor treat, all you have to do is click on the number 18 here. You can also enjoy any that you have missed, and do visit the site on a daily basis. You don’t have to wait for my posts, you can visit when it suits you – just click on the link in our cover image. Thanks Judith for your thought provoking article. When you account for all the fun and tragic and tricky situations, sickness and disease and marriage troubles over the years and that it was a family that went through them at the centre of it all, this could be any family. We all must know families who have lost someone close at this time of the year, who have faced illness and homelessness, have been alone because of marriage breakdown as well as families being together despite travail and troubles and happy times that we all have enjoyed, dancing, our children in pageantry and plays, the Nativity, Father Christmas and parties and gifts under the tree. O.K the King and Queen were rich and did everything on a wider scale than we can imagine but we can still picture the lovely ten year old Princess Mary dancing in a beautiful colourful pageant in a pretty gown and both Anne and Katherine taking part in Christmas Masquerade. I can also imagine many such celebrations tinged with sadness for those who have been lost. The Sweat took men and women of every class and those of the Court had to flee from it even because if someone caught it there it was certain death and all precautions were taken to lessen the risk. Henry and Katherine in Christmas 1517 and at Easter 1518 had the company of a few family and friends but it was a quiet affair. The three Queens were together, Mary, Katherine and Margaret with their younger children, they had a few close attending and kept the entertainment low. Katherine enjoyed the many times that Henry surprised her with his dressing up as Robin Hood and many times she also dressed up. Anne would later put on fancy Masquerade when she took the Queen’s place. For Katherine this was a sad time as her marriage broke down for good and she was banished into exile and then restricted to the house Henry sent her to. Katherine was separated from her only living child and Anne would be in fear for her unborn children, as each one died in her womb over the next two years. Even as she knew she was pregnant in 1533/4 at Christmas and danced accordingly, her last Christmas was mixed with the triumph of another child, yet the apprehension of what happened if this time she failed to deliver. Sadly for Anne within a month she had lost her baby boy and within less than five months she herself was dead, beheaded on false charges. For many Christmas can be either a time of sorrow or great joy, and for King Henry V111 he had two very miserable ones because of the circumstances wrought by two very different wives of his, one the demure and unassuming Jane Seymour had died from complications caused from childbed, his joy at the son she had given him mingled with the sadness of her death, Christmas could not be celebrated properly whilst he was a widow and the festive season must indeed have been cheerless, the second with his fifth queen Catherine Howard who was under lock and key after her alleged adulteries had come to light, so another gloomy Christmas prevailed, Henry must have had some light music played and drank and ate a bit more than usual but he was in no mood to enjoy himself, and for the wretched queen herself she could only think on the past Christmas when she had been the centre of that joyful occasion, the gifts she had received and gladly given, now she could only pass banter with her women and pray that she might be released, the Kings mood reflected upon the court, if the King was sour so were his courtiers, it is very hard when tragedies happen but they always seem so much worse at Christmas because to us today, and to our distant ancestors we expect everything to go right just because the calender says the 25th of December, yet people die accidents happen, marriages fall apart etc, it is part of life unfortunately and to everyone on the planet they must have had at least one unhappy Christmas, on reading Judith’s article she mentioned the dreaded sweat that occurred one year, and as we all know Henry was such a big girls blouse he ordered minimum contact so that Christmas would have been quiet to say the least, no travelling and it must have been rather dull for the little company, but still for the royal family and the wealthy they would have had good food to enjoy still, fine wines and gifting, today we fear the dreaded flu, influenza so called from the words ‘divine influence’ as it was thought that sickness was the act of the angry God, this illness virulent and highly contagious like the sweat long ago leaves the victim bedridden for upto a week in some cases, and if not rested properly, can lead to pneumonia sometimes with deadly consequences, thank heavens now we have the flu vaccine but as we know the flu virus can mutate which can render the vaccine useless, back to a more cheerful note with the image of the young King Henry dressed up as Robin Hood with his merrie men, Robin it seems has always been a popular figure in folklore and this scene is all the more poignant as it was from a time when he was in his prime and gay and cheerful, with his tawny beard and tall rippling pyhsic clad in green he must have delighted the court and his queen with his antics, he must have dazzled the company with his costume and maybe he wore pointed shoes and a hat with a feather in, when he was young there was something childlike about Henry he loved a masquerade, and it was something that endured all his life, hence the disastrous meeting with his fourth queen, bluff King Hal was by that time in his life no more, the glowing prince had long gone to be replaced by a corpulent unhealthy man who was progressing rapidly to that of an invalid, no more masquerade’s no more going amongst his people clad as a poor man or merchant of the city, then delighting them when he threw of his disguise, no more dancing till dawn and riding through the wintry fields with his hunting spears, he was in his twilight, the last Christmas of his turbulent life was again cheerless, everyone knew he could not last long and he knew it himself, preparing to meet his maker he made his last speech before parliament which must have stayed in the hearts and minds of his councillors till their own dying day, this monarch had been loved and hated and feared, they had served him faithfully and most of them wept as they heard his voice, uneasiness too must have been there as his successor was only a young boy, a grave serious little boy who could be easily manipulated by his powerful uncle the Duke of Somerset, there were many in the council who disliked this ambitious man and his younger brother, an era was slowly ending, like the old year to be replaced by a new one, I enjoyed this article very much thankyou Judith.